Huawei, the world’s second largest handset manufacturer, has unveiled its all new Mate 10. The Mate series is Huawei’s competitor to Samsung’s Note series, and in past years has boasted some of the best batteries and fingerprint scanners found on any smartphone. This year, Huawei has stepped up its already impressive game and brought some impressive features to the Mate 10 range, including new AI mobile applications. During IFA Berlin, Huawei Consumer Business Group introduced its first AI mobile chipset, the Kirin 970. Today in Munich, Huawei announced the Huawei Mate 10 Series, which are the first handsets to utilise this breakthrough new chipset. The Kirin 970 is built using an advanced TSMC 10nm semiconductor manufacturing process, and features an octa-core ARM Cortex CPU, a first-to-market Mali G72 12-core GPU and the first NPU designed specifically for a mobile device. The Kirin 970 also has a new dual ISP for AI-powered intelligent photography. The specialised NPU, combined with Huawei’s innovative HiAI mobile computing platform, means the Kirin 970 delivers 25x better performance and 50x greater energy efficiency for AI-related tasks, compared to four Cortex-A73 cores. The Huawei I Mate 10 Series is also the world’s fastest smartphone supporting super-fast LTE connectivity and download speeds. The device comes with the world’s first dual 4G SIM support and dual VoLTE connections. An all-new, simplified EMUI 8.0 based on Android 8.0. 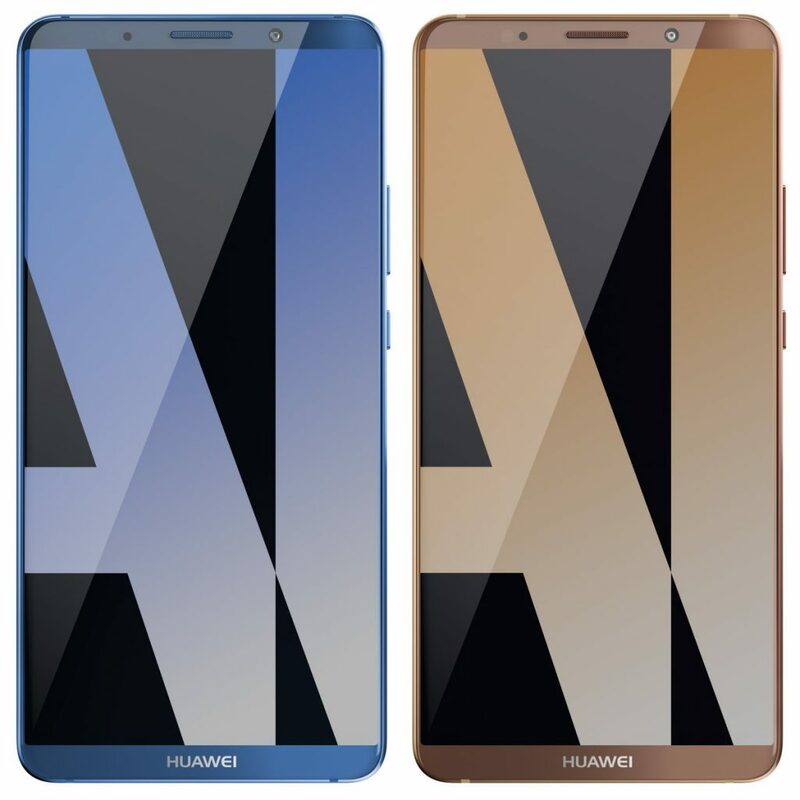 Huawei’s new Mate 10 range is the first to use the Huawei FullView Display, which is the company’s take on the bezel-less design that is the latest trend in smartphones. The Huawei Mate 10 features a 5.9-inch screen with a 16:9 display, barely-there-bezel and HDR10 to support vivid colours. The 6-inch Huawei Mate 10 Pro features an 18:9 OLED display, high screen-to-body ratio and HDR10 for dynamic video viewing. The new devices feature a 3D Glass Body which is curved on all four sides for an ergonomic hold. The back of the devices feature a reflective band design to highlight the New Leica Dual Camera. Huawei has again partnered with Leica to co-engineer the dual lens camera for the Huawei Mate 10 and Huawei Mate 10 Pro. They combine 12-megapixel RGB + 20-megapixel monochrome sensors, Optical Image Stabilisation (OIS), dual lenses with the world’s largest aperture of f/1.6, AI-powered Bokeh Effect and AI-powered Digital Zoom. New AI-powered Real-Time Scene and Object Recognition, which automatically chooses camera settings based on the object and scene, supports an advanced AI-powered Digital Zoom function with AI Motion Detection for clearer and sharper pictures. The Huawei Mate 10 and Huawei Mate 10 Pro pack a 4000 mAh high-density battery featuring a smart battery management system that understands user behaviour and intelligently allocates resources to maximise battery life. It supports 4.5V / 5A low-voltage fast charging, powering the device from 1 percent to 20 percent in 10 minutes, and 1 percent to 58 percent in 30 minutes.² Additionally, HUAWEI SuperCharge is the world’s first fast charging technology to receive TÜV Fast-Charge Safety Certification, ensuring safe end-to-end charging. The Huawei Mate 10 and Huawei Mate 10 Pro will launch with Huawei’s all-new EMUI 8.0 powered by Android 8.0. Features include an AI Engine to fully leverage the capabilities of the Kirin 970; an AI Accelerated translator to deliver faster and more accurate interactive translation for a smoother communication experience; an easy projection feature to connect the new Huawei Mate Series to a larger screen; support for a full desktop experience – either mirroring or extending the smartphone display like a PC. Huawei also launched three Huawei Mate 10 accessories: the EnVizion 360 Camera, SuperCharge Power Bank, and Smart Scale. Huawei’s SuperCharge Power Bank supports a 4.5V / 5A low-voltage fast charge. The Smart Scale can monitor and analyse health information such as body fat percentage and Body Mass Index through a mobile app. 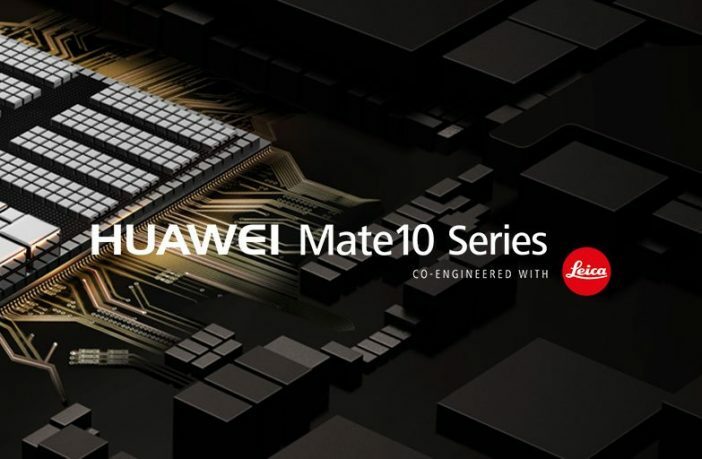 South Africa will be among the first countries to have the Mate Series devices in country, with the Huawei Mate 10 Pro and the Porsche Design Huawei Mate 10. 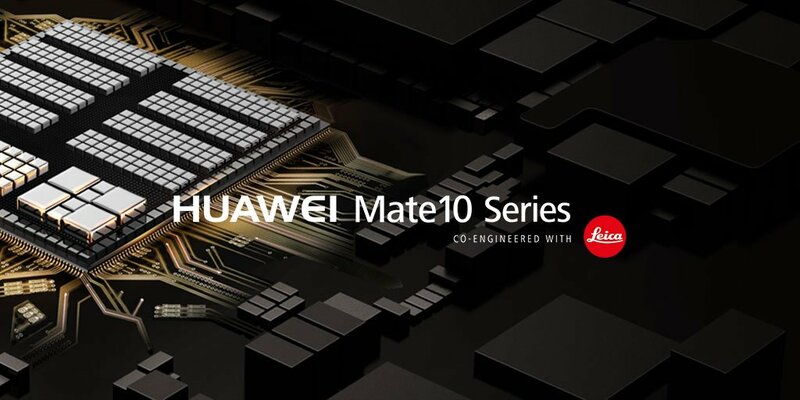 “We are delighted to bring the Mate 10 Pro and the Porsche Design Mate 10 to South Africa as we believe these devices will cater for the South African consumer needs as we enter the age of AI,” said Likun Zhao, GM, Huawei Consumer Business Group SA. “Consumers will be able to pre-order their devices online after our local launch on the 6th of November 2017,” he added. If you can’t wait until November 6, you can find a huge range of Huawei products available on PriceCheck now.